In a world of capitalism, overplayed pop songs and EDM, we need more bands like Demob Happy. The Brighton quartet’s debut LP Dream Soda brings an inventive social commentary to light all wrapped in a palatable indie/grunge package. The twelve track album offers a realistic outlook on society through genuinely good, honest rock tracks. ‘Haat De Stank’ is an unapologetic introduction with heavy, wailing guitars and an instant obvious Nirvana influence that continues throughout the album. Distortion and pop melodies provide a great contrast that somehow make the track intimidating, but welcoming at different times. Maintaining the pace of the album are tracks like ‘Suffer You’ and ‘Succubus’ that use repetitive melodies to create a comforting balance between rock and pop that get stuck in your head with no hope of escape while spitting out analytical lyrics such as ‘Television light, makes me feel alright. Watching over me, brain washed by BBC’. 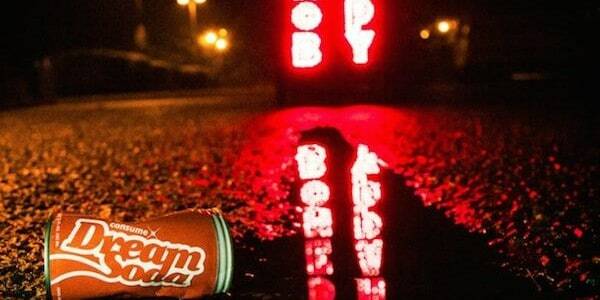 The overarching contrasting tone of the album can be notably heard in ‘Wash it Down’, starting with a fantastic instrumental intro that builds to a grooving bassline and lulling, apathetic sounding vocals singing relevant and clever lyrics. ‘Junk DNA’ builds from a quiet intro to an unsuspecting melodic chorus complimented by moody guitars, group vocals and fun harmonies that almost turn it into an entirely different track. The multi-dimensional nature of the album as a whole creates an interesting balance that makes every track entirely different from its predecessor while still working in harmony together to create a cohesive theme. Tracks like ‘Man You’re Wrong’ and ‘Young and Numb’ bring a sensibility to the album through anarchic, but finely tuned guitars and hazy vocals. For us the standout track has to be the title track, ‘Dream Soda’. Right from the beginning a constant, relentless drum beat sets the pace and is greeted by nostalgic wailing guitars. Clever combinations of catchy pop riffs and repetitive grunge riffs set off a subconscious alarm that sends chills to our spine and rhythm to our feet. 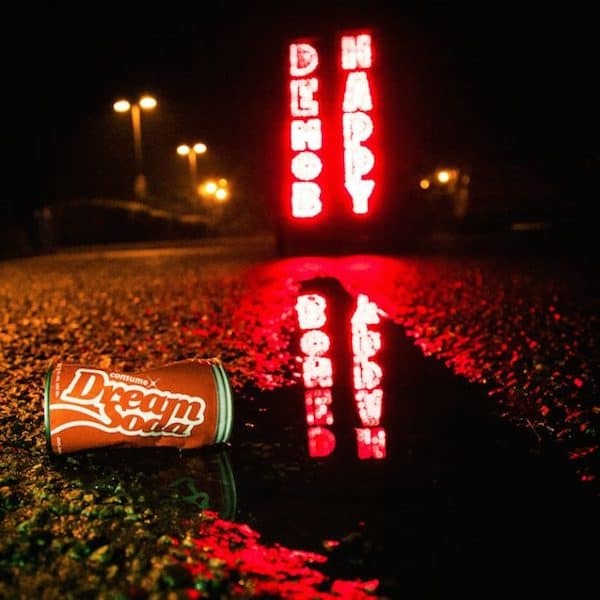 Dream Soda is a catchy, riotous and genuinely, honestly good album from Demob Happy. Any lover of just pure great rock tracks is sure to get instant gratification from this album.